There’s been a flurry of historical war films lately and more to come, I’m sure. It’s not surprising, given the various centenaries involving the Great War of 1914-18 and the knock-on remembrance of other major conflicts. As a general rule, I don’t do war movies. I’d much rather watch Maggie Smith in bustle and bodice than endure the blood, sweat and tears of the trenches. One exception was the cinematic tour de force, Dunkirk – a masterpiece. Then came The Darkest Hour, a fictionalised account of the first few weeks of Winston Churchill’s premiership during the Second World War; France is finished, the Brits are trapped, the Americans are hedging their bets and Churchill must decide whether to parley with Hitler. The days don’t get any darker than that. 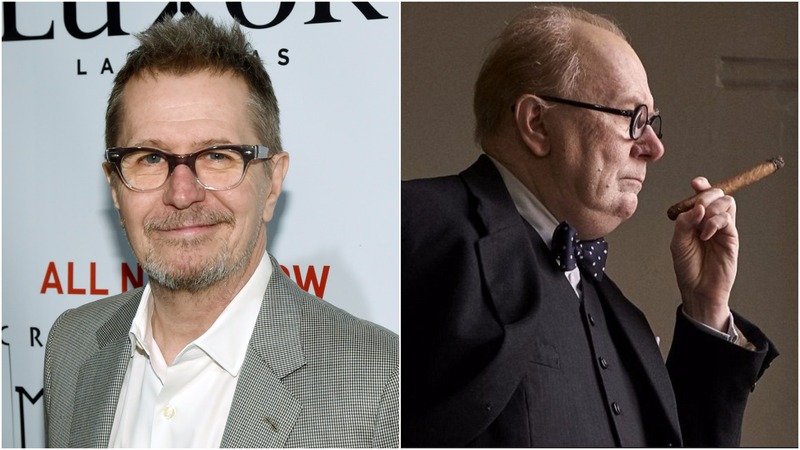 We were drawn in by reports of Gary Oldman’s performance as Winston and his Churchillian prosthetic transformation. I’ve liked Gary Oldman ever since he played Joe Orton, the controversial and irrepressibly gay sixties playwright, in the deliciously naughty but tragic biopic Prick Up Your Ears. In The Darkest Hour, neither Gary nor the prosthetics disappoint – both are superb. And what of the film in general? It’s a witty script that doesn’t whitewash Churchill’s considerable flaws, ruthless streak or periods of mental paralysis. But it’s the performance that makes it. Expect a few gongs for Oldman and the clever people in the rubber department. We also recently saw the latest Star Wars blockbuster – The Last Jedi. The critics loved it, the fans less so. I’m with the fans. If only the latex had been ‘around’ at the time of his conception – wicked old sod! Look forward to the film though. I haven’t seen Dunkirk yet – but was extremely impressed by Gary Oldman (and the jowls)… I also thought the script of The Darkest Hour was absolutely excellent, it was riveting. Loved both films–Gary Oldman was amazing. Brilliant performance. Thoroughly enjoyed the Darkest Hour. But Dunkirk did nothing for me. Maybe I fell asleep and missed it!! Did you see it at the Cinema? I haven’t. I’ve heard it’s brilliant but, to be honest, I saw the trailer and thought the younger guy looked, well, a bit too young. I think I’ve missed this at the Bodrum flicks but I’ll catch it on the small screen. It hasn’t been out long. Perhaps it hasn’t made it to Bodrum yet.